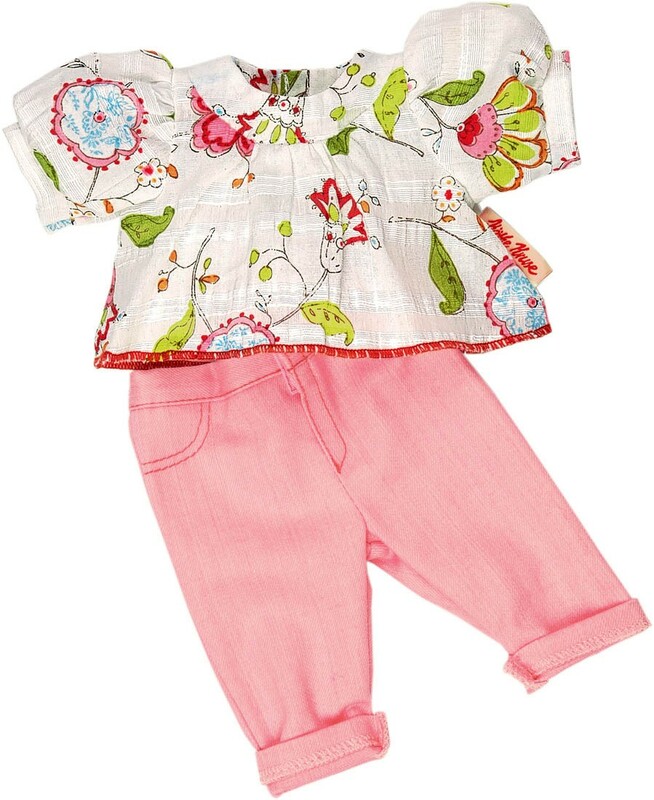 The fashionable playground set for 11 to 13 inch baby dolls is a good choice for trips out of the house and includes pink pants and a detailed flower pattern blouse. 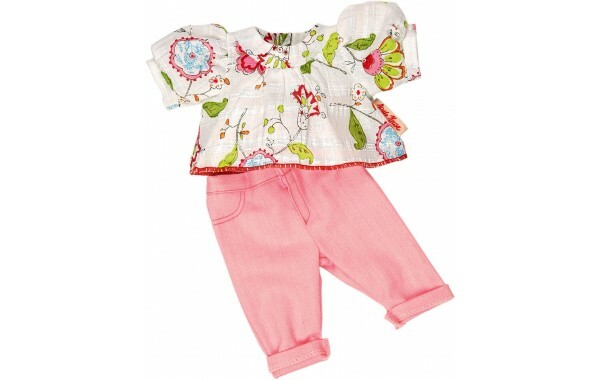 Extra clothing and accessories from Käthe Kruse Prêt-à-porter offer children additional fun and play value. 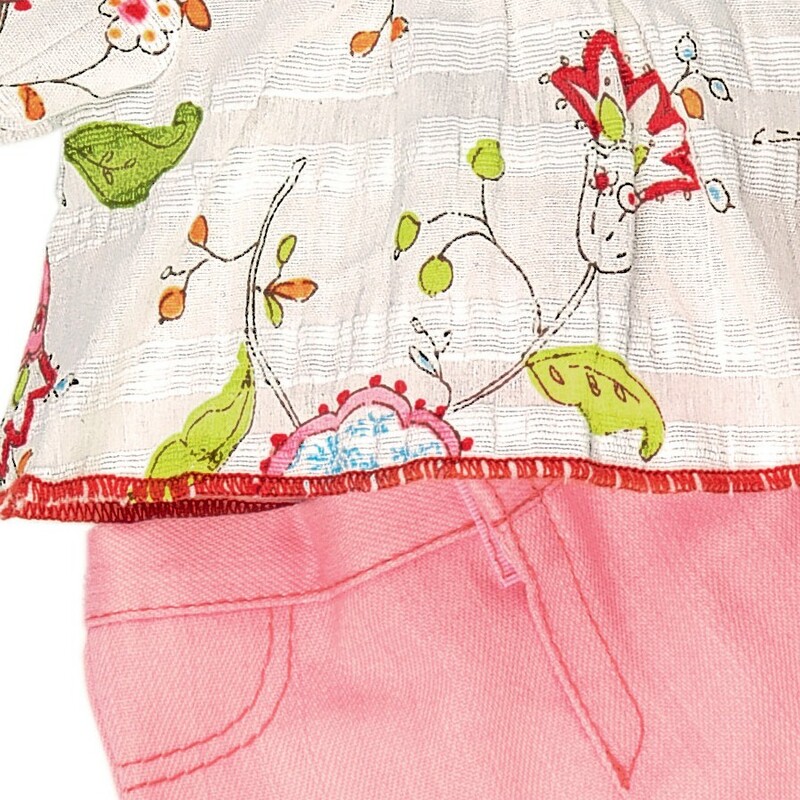 Hand made from quality fabrics with attractive detail for long lasting use. It is easy for small hands to take on and off.